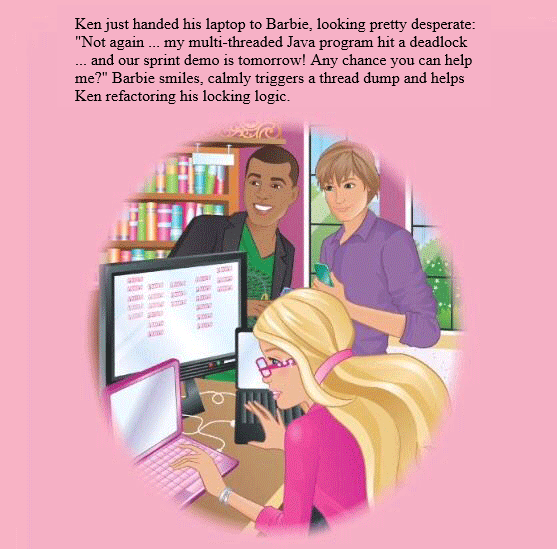 Ken just handed his laptop to Barbie, looking pretty desperate: "Not again ... my multi-threaded Java program hit a deadlock ... and our sprint demo is tomorrow! Any chance you can help me?" Barbie smiles, calmly triggers a thread dump and helps Ken refactoring his locking logic.